​ARTISTIC DIRECTOR – JANETTE LORRAINE HARKNESS, B.A. I was a two and a half year old when I began to dance...and have never stopped. Even when I temporarily put my dancing shoes aside for a bit and not even teaching I still found time for freelance choreography. Dance is a passion for me that completes who I am and drives me forward with bursts of creative energy that just surge at times. My earliest memories are fondly of my Mother who shared her love of art and dance with me as teacher, mentor, friend and mom. At an early age I learned to work very hard in my dance, inspired to do it better from something within.....more often than not I was the lone student in the studio still practicing. At home I was always in the patio of our home with a sheet of plywood on the floor and a makeshift barre on two saw horses with a small glass stand mirror in the corner, still practicing until I was told to stop. My earliest love of dance was not ballet but theatrical dance - especially tap. Rhythm and theatrics were highly exciting and I found myself also learning flamenco dance along with other character forms that served me quite well when i seriously studied ballet from age 8 onwards. Aged 7 I began choreographing my own tap dances that evolved with greater detail to ballet. At 13 I choreographed two full length ballets that were performed - Gilbert and Sullivan and Coppelia. Choreography and teaching began to really interest me - especially working with students. My Mother purchased a book for me when I was 10 that I still have. In it it talks about a little girl who wanted to dance more than anything, but people would also discourage her inspirations. The essence of the story is part of what dance is about - the amount of work that must be done on an individual basis to gain your personal bests and achieve goals. It is simple but difficult. The book is entitled "Ballet for Beginners" The story is on page four about Tamara Karasavina, who became a famous prima ballerina. "No girl, can become a dancer just because she is talented and loves to dance", she said. "She must work very hard to become a dancer, and even harder to become a ballerina". I continued my study and practice with Olga Ziceva, formerly of the Kirov Ballet, I also studied at the San Francisco Ballet School and The United States International School of Performing Arts, was the original choreographer for the Western Stage and also choreographed for CA State University Fresno, Alan Hancock Centre for the Performing Arts and area theatrical groups. 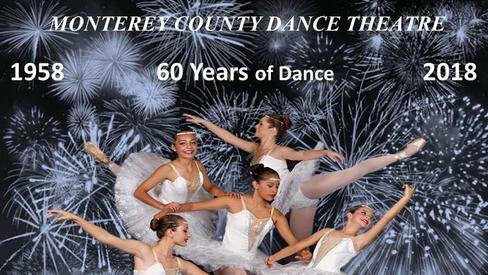 I became an instructor, joining my mother merging into what became Monterey County Dance Theatre. Previous students gained acceptance with premier schools such as San Francisco Ballet, Ballet West, North Carolina School of the Arts and Contra Costa Ballet. I have choreographed Nutcracker, Coppelia, Sleeping Beauty, Gilbert and Sullivan, Peter and the Wolf and 30 musical productions.